Jerusalem mayor responds to terror attack, promises not to give up. Jerusalem Mayor Nir Barkat responded to Friday's terror attack, in which Border Police officer Hadas Malka was brutally murdered. 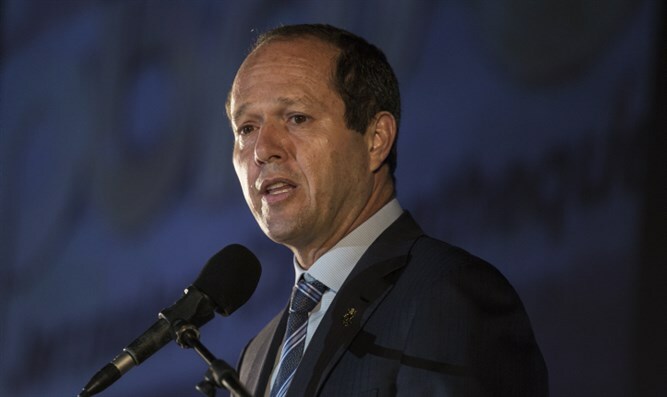 "Jerusalem has had a difficult Shabbat (Sabbath)," Barkat said. "In the name of all of Jerusalem's residents, I send condolences to the family of Sergeant Major Hadas Malka." "Her family says she insisted on serving in a meaningful role, and spoke of contributing to Israeli society and was imbued with a strong feeling of patriotism. Her life story fills us all with much pride and sadness. "To ensure security, we must fight an uncompromising war against terrorism and against incitement. Jerusalem Police have found hundreds of illegal infiltrators since the attack. These infiltrators were removed from Jerusalem and from Israel, and we have increased our presence in the area. "We, the Jerusalemites, will continue to build our city and strengthen ourselves. We will not step back, and we will not allow anyone to stop us. May her memory be blessed." Hadas Malka was killed in a combined shooting-stabbing terror attack in Jerusalem on Friday. Three terrorists armed with knives and rifles attacked two different locations in Jerusalem, killing Hadas and injuring four others. Hadas lived in the village of Givat Azar near Ashdod, located in southern Israel, and leaves behind her parents, two brothers, and three sisters.